Are you making this common communication mistake? A few seconds later, just as we feared, the deer jumped out into the road. Paula shouted, “The deer!” and the next thing I knew we crashed into the animal (or he crashed into us), which damaged the front end of our rental car. Amazingly, we were not hurt. The same cannot be said for the poor deer. As we were waiting for the tow truck, we discussed what happened. It was a classic case of not being specific in our communication. When I asked Paula if she saw the deer, I was referring to the one in the median in the middle of the highway. When she responded “Yes, I do,” she was referring to a second deer, which she saw ahead in the lane to our right. Too many times we are not specific in our communication, make assumptions, and don’t double-check for understanding. While not as traumatic as hitting a deer, here are a few examples where not being specific enough can lead to hurt feelings, unnecessary conflict, and negative outcomes. “I need your report as soon as possible.” What does that mean? The manager asking for the report might be expecting it within the hour. But the other person may already have a full plate and “as soon as possible” is sometime next week. “I would like you to be a better team player.” What does that look like? This manager may want the person to attend all team meetings, show up on time, actively participate in team discussions, and support team decisions. The person receiving this message may think that being a good team player means hanging out with the team after work. (To a teenager): “I would like you to go and clean your room.” What is the definition of clean? To you, it means picking up clothes and putting them away, making the bed, vacuuming, and dusting. To the teenager, it may mean shoving everything under the bed and calling it good. One simple way to be more specific is to add the phrase “…by that I mean…” to the end of the request. For example: “I would like you to go and clean your room, and by that I mean…” and then include the specific details. The level of specificity needed is dependent on the person and the task, so think about both as you clarify the request or assignment. As you become more specific in your communication, you will be amazed at the corresponding decrease in interpersonal conflict, increase in fulfillment of expectations, and positive outcomes for yourself—and for deer—everywhere. August 9, 2012 in Alignment, Best Practices, Communication, Feedback, Listening. ← Why are managers and supervisors so stingy with praise? John: I enjoyed this blog post. 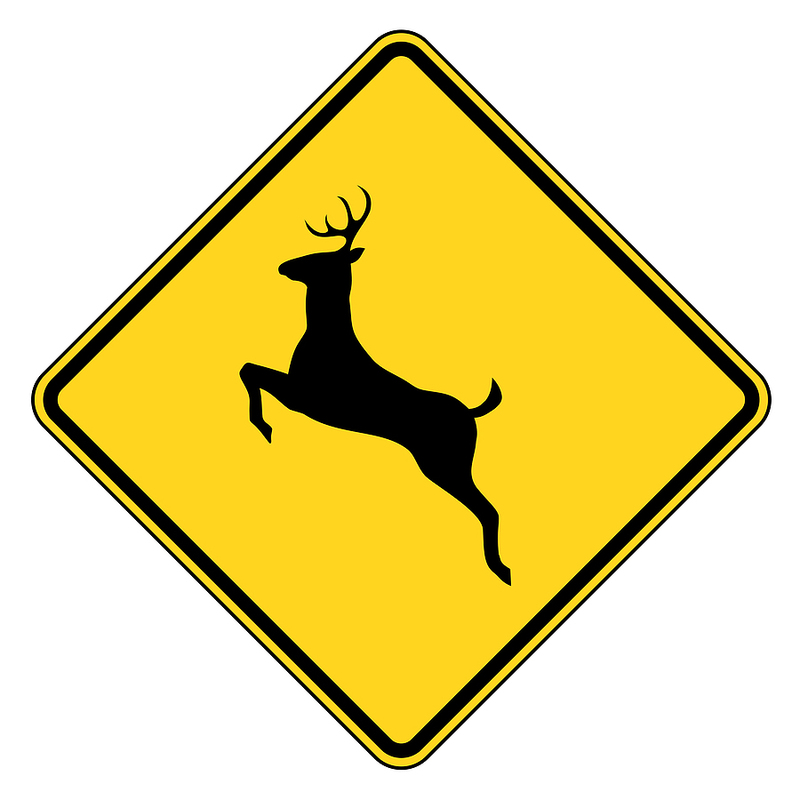 In your example of the deer, I do not agree that mmore specific information or clearer details would have avoided the accident. That is what I would consider an emergency. Think about the 9-11 crashes or the recent massacre at the theater in Colorado. Do you think the patrons would have been brave enough to whisper each to each other “you tackle while I grab the guy’s head…”? Probably not. Your other examples, however, were pretty good and I can see why more specific information would be needed. I agree with you 100% when you note that specific details helps eliminate interprsonal conflicts. I’ve been advocating that position for most of my life and as such, have been called “blunt.” Well done. Hi, John! I agree that being specific is a lost art. I think vocabulary helps, too. Using the right word for the right purpose is really important. Thanks for reminding us of the ambiguities that prevent effective communication. I agree that specific communication can be helpful, but your example could prove to be taken in a condescending way in the work place. “by that I mean…” could come off like you are under estimating the intelligents of the other person. While being overly specific can be problematic saying “I need that report by three tomorrow” is a lot more specific and helpful than “I need that report soon”. For leaders specifics are great for expressing your expectations. Great point and great example to go with it – thanks for sharing! Clarity is very important. However, you should know your audience too. Some individuals will intuitively understand while others require more of the story. Considering personality types is beneficial as well. Great catch Laurie. The amount of specificity will depend on the person’s competence at the task. In addition, as you stated, the communication style should be adjusted to each individual. Having participated in the deer-in-the-headlights accident, I’d like to note: 1. I was not driving, but I did see the deer to our right, while John was clearly looking to the left; 2. More specific communication in this case would have provided John with key information, allowing him to act on the situation, rather than being acted upon; and 3. No matter where we are driving (or more broadly, leading) – be kind, clear and present! The tug-of-war between brevity and clarity can be very challenging. I find my communications more brief when sending e-mails, but this it a medium that has more room for miscommunication. The clue is precious and functional to most of the uses, though I add my own tip: since is not so simple to be specific if you are not used to, before starting the discussion and assigning goals, try to set a date by which every thing should be ready and use it as a guideline for telling others when you need things: helps you in setting priorities and them having a specific point to focus on.